• Snap-in, no flange design. • Color coded for fiber/polish type. • Snap-in, no flange design. • Color coded for fiber/polish type. • Dust caps included. Fiber-Optic Adapters are designed to connect fiber-optic patch cords and pigtails to each other. Connector ferrules are aligned with the internal precision alignment sleeve to provide optimal performance of the mated pair for data communications. 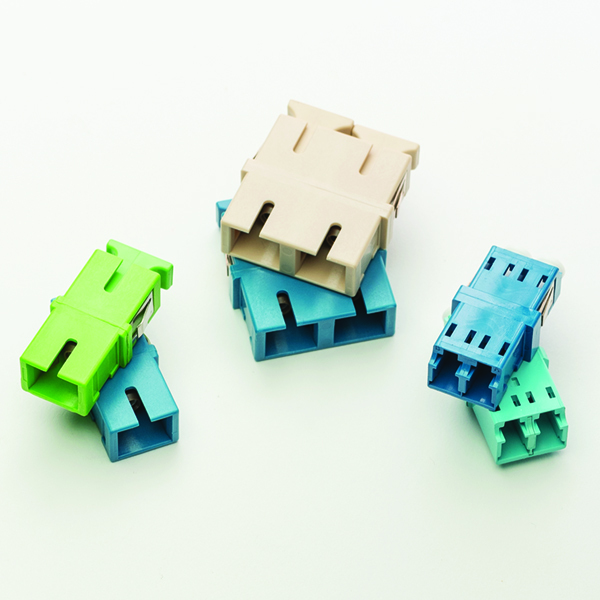 Adapters are color coded to industry standards and provided with dust caps on both sides.